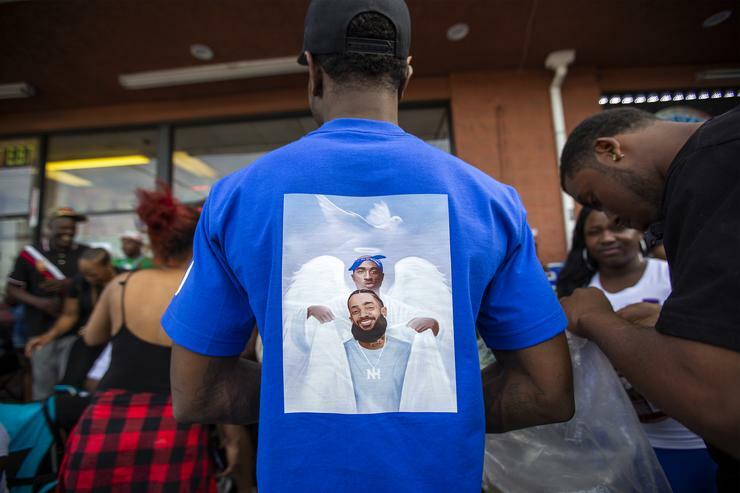 Just over 24 hours since Nipsey Hussle was murdered in front of his store Marathons, the Los Angeles Police Department has publicly released the name of their suspect. Ths LAPD tweeted this evening, "Eric Holder is wanted for Homicide in the shooting of Nipsey Hussle. He was last seen in a 2016 white 4 door Chevy Cruze CA license plate 7RJD742. Anyone with information related to his whereabouts of this deadly shooting is urged to contact South Bureau Homicide at 323-786-5100." NBC 4 News reports that 29-year-old Holder is also responsible for the shooting of two other people. According to sources, Holder approached the rapper, got into a confrontation with him, then later returned and shot him multiple times, point blank. Then the suspect ran into an alley and jumped into a getaway car that was waiting on him.